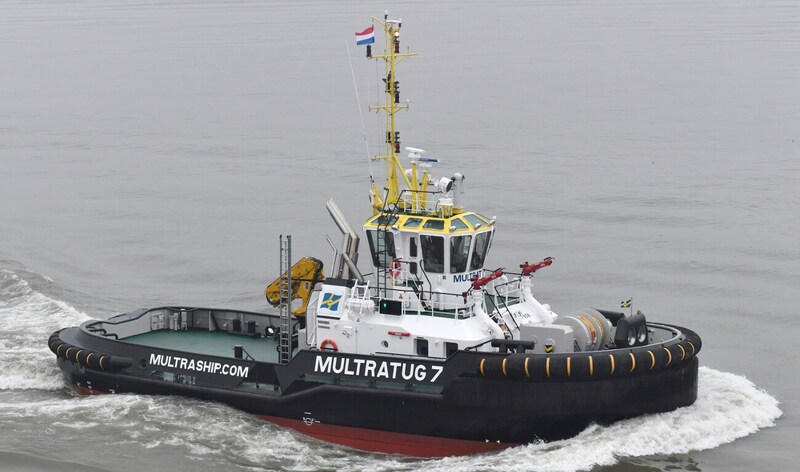 Home › Sea Tug › ASD Tug › ASD Tug 2810 › ASD Tug 2810 "Multratug 7"
Multraship Towage and Salvage has taken delivery of a new Damen ASD Tug 2810. The Multratug 7 sailed under her own keel from Galati, Romania to Terneuzen, The Netherlands. With a bollard pull of 61 tonnes, it is the third vessel of its type built by Damen to join operations in the Multraship fleet.